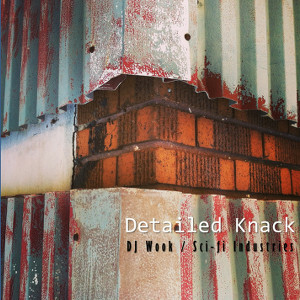 [EN] Split mixtape album of DJ Wook and Sci Fi Industries in similar electronica style. This is co-released with Thisco Records, they have limited edition tapes available! Cover photo by Lesley Young. [PT] Edição a meias de DJ Wook e Sci Fi Industries de música electrónica. Co-edição com a Thisco Records, eles tem uma edição física de cassete disponivel! Foto de Lesley Young.